Sometimes the best advice you can receive comes from a trusted colleague. Other times, quality advice and suggestions can come from close friends or your spouse. Once in a while you may get a superior idea or thought from someone you barely know. All of these sources are important and are part of your circle of positive influence. Nurture them, respond to them and most of all LISTEN to them – the nuggets of knowledge you need to succeed or make a better decision may be in that 3 minute phone call, a casual conversation or a 4 line text. For me, one of the sources I rely on for great advice has always been my Dad. He hasn’t given me any new advice in over 27 years because he passed away from a heart attack in 1988. However, I have squirrelled away many of the insightful, unique, meaningful and occasionally brilliant ideas and philosophies that he had and often shared with me in many forms during the years. Sometimes he communicated with me via a hand written note that he would slip into my tennis bag, reminding me to stay calm or focused during a junior tournament match. Once in a while, he would stop me in the hallway and put his hands on my shoulders to get my full attention and then share his thoughts with me with his incredible, deep, resonating, radio/TV/stage voice – in those moments, it felt like God was talking through him to me. But most of the time, his wisdom came to me in the form of a type written letter or note, straight from his ancient Royal manual typewriter – the same one he used to write newspaper articles, radio reports and TV newscasts from for dozens of years. Unfortunately I didn’t have the foresight to keep all those letters – I wish I had. I would love to read them again and perhaps share them with my kids. However, I remember the true game changers – the ones that got my attention immediately and caused me to change a behavior or open up my mind to something new. I want to share one of those with you today – I hope it’s as meaningful for you as it has been for me through the years! This one is called The Daily Three and it goes like this. Each day you should do these three things – the order doesn’t matter, the manner in which they are done doesn’t matter, but the intent of all them is to leave a positive impression or complete a necessary task. The point is to concentrate on achieving these three things each day – if you do so, you cannot help but have a great day…which leads to a great week…which builds into a great month and year…and ultimately allows you to live a full and happy life! 1. Do Something for Yourself! God made you and you are special. You must take care of your body, your mind and your spirit every day. Give yourself some credit for being who He made you to be and reward yourself with something fun, relaxing or educational every day. You deserve it! Laugh, enjoy and have fun – it makes your soul sing and gets you in the frame of mind to do the second of the Daily Three. 2. Do Something for Someone Else! Keep your eyes and ears open for the opportunity to help someone else each day. This could be something major like a household project for a neighbor or friend in need or participating on charity or civic club group to help deliver food or clothing to those less fortunate. But often this part of the Daily Three will be a small thing for someone you don’t know – opening the door for a lady, allowing someone to turn in front of you when you are driving, paying for the person behind you in line at a fast food restaurant, or simply listening and responding with something positive to someone you meet. Helping those around you is a Godly thing and is part of the reason you are here!3. 3. Do Something That Needs Doing! Yes, my Dad was all about task completion as well! He had to-do lists all over the house – on sticky notes, on chalk boards, typed out on paper – it didn’t matter how he had to remind himself, he always found a way to make sure he “moved the ball” each day on a project or list of things that had to be done. I am exactly like that now. I have always been known as the most organized person in any group I have ever worked with. I now teach organizational and time management skills to individuals and companies. 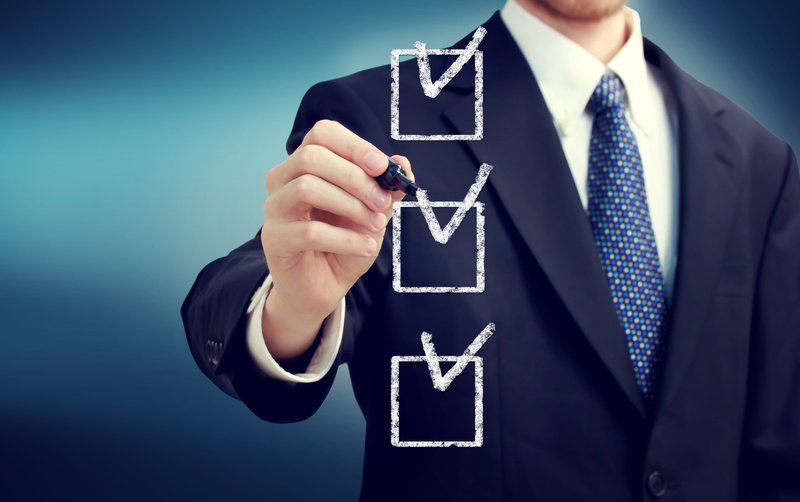 Whatever your mechanism for checking a task off your list, make sure to do it every day. This one of the Daily Three doesn’t have to be laborious – far from it! I find great joy in seeing my to-do list shrink and it gives me a tremendous sense of accomplishment, self-worth, and pride to know I have completed what I started out to do! Try incorporating The Daily Three into your routine and see what a difference it can make in your productivity, happiness, and sense of well-being. If you need help with it, don’t hesitate to reach out to me – I’m happy to help! 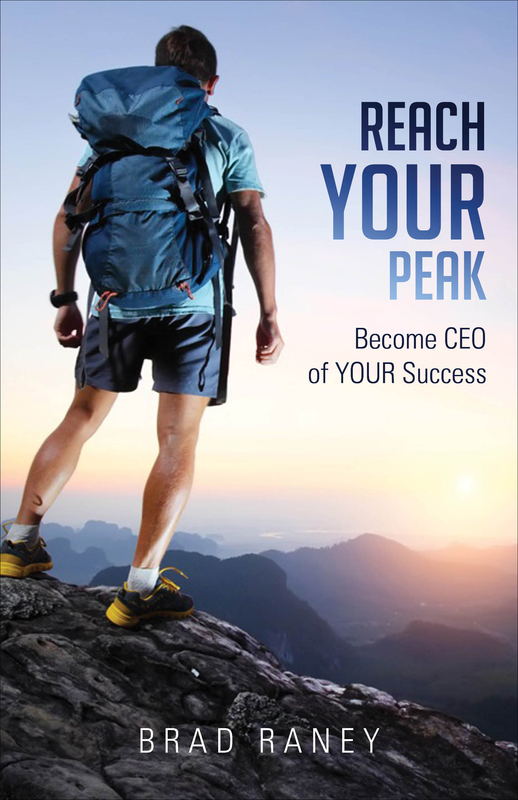 Over the last couple of weeks I have been blogging about my new book “Reach YOUR Peak! Become CEO of Your Success!” and sharing excerpts of the 16 chapters with you. RYP is the culmination of four years of research and training that I have done and I’m very proud of the result! The book can be read easily in a weekend but I encourage you to read each chapter and then reflect on the note section and “to do list” that you’ll find. Many of the suggested activities involve you talking with others who know you well and with peers in your workplace or industry. Treat each chapter like a mini-workshop and fully complete it before moving on to the next. RYP is built like a house – foundation, walls, roof, interior completion and finishing touches. Follow the plan, grow your knowledge and then move ahead to the next phase. This chapter does exactly what the title implies – it reviews and takes stock of the journey so far and gives specific actions for the remainder of the climb up your mountain. Within the chapter I discuss next steps that include creating your “green line” of success by implementing and living vividly the VOWELS tenets. Next the goal is to create a SWOT for you and your company and to fully understand the terrain ahead. I implore the reader to use their Tools for Success and create a specific and targeted business plan – and then learn to live by it! “You know me pretty well by now, and you know I couldn’t let you put this book down without one more acronym. You’ve “survived” in the past, and that’s okay. I gave you some real practical advice on how to “thrive” in the future. But CEOs have one more level than that to climb. Over the course of the next 12 months, I want you to “strive” to reach higher, to go farther, to be what you’ve always wanted to become and to truly REACH YOUR PEAK! S – STUDY your SWOT. Magnify your strengths and opportunities! T – THINK like a CEO! R – RECOGNIZE where you are now! I – INVEST time in your mission/vision statements! V- VALUE your experiences and learn from them! In the final section, chapter 16, the discussion turns to one of the most vibrant and electric discussions in the book. In fact, this section has spawned dozens of workshops, seminars and keynotes with most of them entitled “Climbing Your Personal Mountains.” The basis of the final climb chapter is a new use of the VOWELS – this time I turn them into seven essential climbing tools that you must have to climb any mountain effective, efficiently and safely. The tools I relate to the VOWELS are anchor, ascender, carabiner, hammer, helmet, harness and rope. You can take other tools and items up the mountain, but you aren’t going anywhere without these seven. There is a looming challenge with climbing a mountain, especially the ones in the Western part of the United States, that’s not related to your tools or your ability to pull and scrape and claw your way up the rocky face of the façade. The looming danger comes in the form of mountain goats – big, strong, powerful and nasty creatures who are very territorial and don’t want you on their mountain! “Why are we talking about mountain goats? Because even on your personal mountain, you will encounter them- in many forms, for many reasons, and sometimes without any warning! Your mountain goats may not be as big as real ones, but they are just as territorial, just as mean-spirited, and just as determined to end your ascent to new heights. I hope you’ve enjoy reading the excerpts from Reach YOUR Peak in this blog series! To order the book or the E-book now, go to my website at www.BradRaney.com and look for the link on the Homepage or go to the Products page. If you have any questions, don’t hesitate to reach out to me at Brad@BradRaney.com. This chapter turns the spotlight onto four areas that are your “tools for success” – Personal Branding, Time Management, Qualifying Prospects, and Networking vs. Schmoozing. Harnessing the tools for success is an absolute necessity in developing repeat business from current clients, effective testimonials, invaluable recommendations, and a legacy of achievement for your business! “My Dad taught me the art of “back-timing” – starting at the hard deadline of a project and worked backward to lay in each element moment by moment in order to obtain a clear roadmap to executing the project. He did this daily to make sure his shows went off without a hitch. He brought this philosophy home and showed me how to use it to do many practical daily activities: to plan an efficient car trip and estimate arrival times, to get tasks done in a highly efficient and orderly manner without undue stress, and even how to juggle multiple projects or subjects in high school and college to get the best grades possible. In chapter 14, the discussion turns to the specific steps you can take to create a vibrant, effective and living business plan to map out your climb up the mountain! The four areas covered in the chapter are Mission Statements, Vision Statements, SMART Goals, and Check Points to Make Sure You’re On Track. Like the chapter summary above, we don’t have the space to go into all four of them here so let’s take a look one section that deals with mission and vision statements – an area where most people have trouble. “The mission statement is more difficult, at least it was for me. Spend quality time on it though – it will plug the coordinates into the GPS of your success path! My vision is to continue to allow God to use my spiritual gifts to inspire and empower those around me to reach their full potential. My mission is to use my spiritual gifts of writing, speaking and empowering those around me to be their best by passionately presenting, creatively crafting, and positively impacting individuals, groups, and businesses through the message I share. In the next blog, we’ll take a look at the final two Chapters, 15 and 16. To order the book or the E-book now, go to my website at www.BradRaney.com and look for the link on the Homepage or go to the Products page. If you have any questions, don’t hesitate to reach out to me at Brad@BradRaney.com. Over the next couple of weeks I will be blogging about my new book “Reach YOUR Peak! Become CEO of Your Success!” and sharing excerpts of the 16 chapters with you. RYP is the culmination of four years of research and training that I have done and I’m very proud of the result! This chapter is really two parts of the same discussion about change. The first part of the chapter deals with the word “neuroplasticity” and the effect it can have on your ability to adapt to new things. I relate the story of a discussion that I had after a presentation to a group of accountants – very straight line, linear thinkers. One of the older members of the audience came up and told me that he thought he was too old to change and felt that some folks just aren’t made to handle different situations. I did some research and found out that neuroplasticity means the “changing of neurons, their organization, and function via new experiences” or “such changes can occur as a consequence of many events, including the normal development and maturation of the organism.” In short, we are BUILT to change and absorb new things! “We have established the fact that you SHOULD change. The VOWELS provide the roadmap for this process. We have just learned that with neuroplasticity, you CAN change- you are built for it. Do you have the COURAGE to adapt? The rest of Chapter 11 is about a turtle that my son got as a Christmas gift. He was a real turtle, but also a perfect metaphor for change. This turtle didn’t like being off the beach, or being shipped in a little box, or living in a new habitat in my son’s room with two other turtles. The turtle’s name was Shadow and he basically stopped trying to adapt to his new space and eventually died while the other two turtles thrived. In the next blog, we’ll take a look at Chapters 13 and 14. To order the book or the E-book now, go to my website at www.BradRaney.com and look for the link on the Homepage or go to the Products page. If you have any questions, don’t hesitate to reach out to me at Brad@BradRaney.com. This chapter takes on my favorite of the VOWELS – Uniqueness. The definition of Uniqueness is “standing alone; radically distinctive and without equal.” Can you say that about yourself? Of course because you are the only one that has your own set of values, experiences, dreams, etc. The question is can you communicate your unique qualities to those around you – coworkers, teammates, clients? “This VOWEL is a critical element in truly reaching your peak because being unique is the one true advantage you have over your competition! They may have a similar product, better pricing, enhanced service or responsiveness – but they don’t have you! Your goal is to become not just a manager, sales person, or leader but a resource for those around you. The mindset that eventually develops into being thought of as a resource begins with standing out and leaving a lasting, positive, and distinct impression! In chapter 10, the discussion turns to the next step of the process of climbing your mountain – the specific plan to conquer the climb. The Thri-vival Guide is built on recognizing that you indeed do have the requisite skills to become CEO of your success – how do I know that? Several reasons: you made it through the worst economy since the 1930s; during that tough year you were forced to learn new or very tough lessons in business; and by showing the ability to grow and change in a crisis, you have placed yourself in the top 1-2% of professionals who take control of their destiny by seeking mentors to help develop their skills to highest level possible! There are two important questions that are posed in Chapter 10: 1- Can you visualize what your business should look like in a year from now? and 2- What is your plan to get from here to there? “Okay, let’s take the first question. “Visualize what your business or work environment should look like” 12 months from now. Can you see clearly what you will be doing in a year? How does it make you feel? Whose lives are you impacting? What drives and stimulates you to get up every day and do it again? For some folks, this question is easy because they have been dreaming about it for a long time. They can see themselves earning the income they want, sending their kids to college, saving for their own retirement, taking care of aging parents in a wonderful manner, and having time to play a little and enjoy their lives outside of the job. In the next blog, we’ll take a look at Chapters 11 and 12. To order the book or the E-book now, go to my website at www.BradRaney.com and look for the link on the Homepage or go to the Products page. If you have any questions, don’t hesitate to reach out to me at Brad@BradRaney.com. This chapter takes on the second “I” of the VOWELS – Intensity. Intensity at work is like the gas pedal in your car – you can’t jump in your vehicle, start it, push the accelerator to the floor and keep it there all the way to work. There are hundreds of obstacles in your path and you’ll probably crash into something well before arriving at your office! The same is true of your work day- you must know when and how to be intense, and strive for an even amount of laser focus and relaxation each day. “Life is really about 3 distinct parts that make up a whole person: 1- your reason for being- your work, your craft, your passion; 2- those around you that you care for and that care for you; 3- rest and relaxation for your body, mind and spirit. If you start mixing the three segments of your life and let them bleed into one another, the consequences can be devastating. Hard work is fine. In fact, hard work is cathartic and uplifting in its own right. However if that’s all you do 12-16 hours per day, then you have neglected either the folks around you that you love, or you have not given your body and mind time to heal properly from the tasks of the day. “The good news here is that optimism is contagious. Positive ions attract positive ions. If you load a positive attitude into your computer, you will print out positive friends, coworkers, colleagues, clients and loved ones. That makes the formula for creating a truly great outlook pretty easy, right? Think good thoughts, put them deep into your psyche, and voila, you will have an amazing outlook on life! In the next blog, we’ll take a look at Chapters 9 and 10. To order the book or the E-book now, go to my website at www.BradRaney.com and look for the link on the Homepage or go to the Products page. If you have any questions, don’t hesitate to reach out to me at Brad@BradRaney.com. This chapter covers the second “E” of the VOWELS – Effort. Many folks have told me that they thought that Energy (Chapter 4) and Effort are the same thing. They are similar but both are necessary and inextricably linked to each other. Think of Energy as a battery pack on your back and Effort is the push button that sets the Energy flowing. You can push the button all day long but if there’s nothing in the battery, nothing will happen. Conversely, you can have a full battery but if you don’t decide to put it to use, nothing will happen. You need both to be successful. “For instance, during the NBA Finals match-up between the Miami Heat and Dallas Mavericks, NBA Analyst Mark Jackson said, “That’s ENERGY, that’s EFFORT, that’s passion! And that’s how you win!” He was describing the full throttle mode that Dallas displayed in their NBA championship-clinching win. He broke up these two VOWELS – he separated them into different thought groups. He has often used them in combination to show two of the facets necessary for teams to excel. In chapter 6, I turn the spotlight on one of the most important VOWELS – Integrity. Let’s face it, Integrity is about being honest. In business your Integrity is the only real calling card that you have to offer. If people can’t trust you, it doesn’t matter how great your product or idea is it will never be utilized. “If you must choose between your reputation and making money- choose your reputation! If you must make a difficult decision to tell a client or manager that you did something wrong – knowing that it might cost you or the company money – tell them immediately! You must think long-term and present the right idea regardless of the short-term hurdles that might come up! In the next blog, we’ll take a look at Chapters 7 and 8. To order the book or the E-book now, go to my website at www.BradRaney.com and look for the link on the Homepage or go to the Products page. If you have any questions, don’t hesitate to reach out to me at Brad@BradRaney.com.